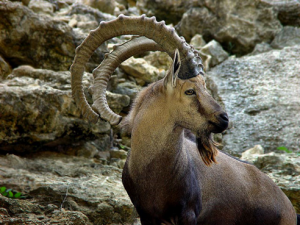 The contemporary and historic mammalian fauna of Arabia contains relatively few endemic species. The goal is to identify migration rates, the timing of population divergence, and the signatures of demographic changes associated with animal population isolation and regional desiccation. The presence of baboons, endemic fish and amphibians in southern Arabia during arid periods in the past suggests that other animals, and possibly hominins, were able to survive through arid periods. Previous investigations suggest that the movements of baboons were from the Sinai, perhaps along the Red Sea shoreline, and then into Arabia, most likely through a route along the Red Sea coast. The project will analyse modern DNA extracted from the bone, tissue and hair of ostrich, oryx, Nubian ibex, striped hyena and the honey badger held in contemporary museum collections to evaluate how often the route along the Red Sea was used. Museum collections are being analysed, including those in the Natural History Museum,London; the Zoological Museum,London; King Saud University, Riyadh; the Berlin Zoological Museum, the California Academy of Sciences, San Francisco; the Chicago Natural History Museum; and the Oman Natural History Museum.